Melting glaciers on Mount Everest are exposing the bodies of hundreds of climbers who have died while trying to scale the peak. Almost 300 people are thought to have died on the 29,000-ft mountain and many of their bodies are extremely well preserved in the cold climate – even decades after they died. Many are still buried under the Himalayan ice but mountaineering experts believe global warming is starting to reveal them. As this year’s spring climbing season begins, some of the bodies are now being removed from the Chinese side of the slopes, BBC News reported. 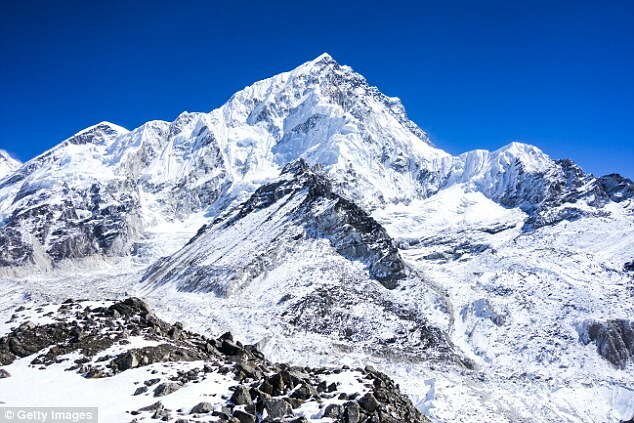 A study in 2015 warned that up to 99 per cent of glaciers in the Everest region could have gone by the turn of the 22nd century. Even if carbon emissions are reduced there could be a drop of 70 per cent, a paper in science journal The Cryosphere found. Ang Tshering Sherpa, ex-head of the Nepal Mountaineering Association, said: ‘Because of global warming, the ice sheet and glaciers are fast melting and the dead bodies that remained buried all these years are now becoming exposed. Removing a dead body can cost up to $80,000 (£61,000), it is claimed. 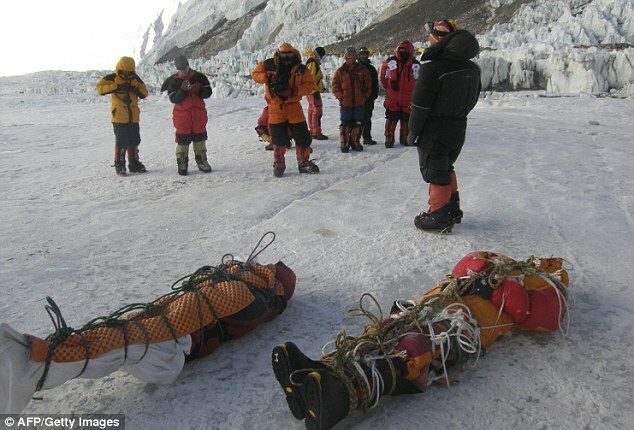 Experts have also suggested that some climbers would want to be buried on the mountain if they died there. One dead body nicknamed ‘Green Boots’, believed to be that of an Indian climber who died in 1996, has served as a landmark for climbers. Avalanches in 2014 and 2015 killed dozens of people on Everest in the worst losses of life in the mountain’s history. Earlier this year China announced it would cut the number of climbers attempting to scale Mount Everest from the north by a third. Beijing said its clean-up efforts would include the recovery of the bodies of climbers who died at more than 26,246ft (8,000 metres) up the mountain. Pictures of people queuing to get to the top have also sparked concerns about the environmental impact of climbing Everest. The south face of Everest is approached from Nepal. More than 4,000 climbers have scaled the world’s highest peak, according to the British Mountaineering Council. Edmund Hillary and Tenzing Norgay were the first climbers known to have reached the summit, in a British-sponsored expedition in 1953. In 1999 the body of British climber George Mallory was discovered on the slopes, 75 years after he went missing. It remains unclear if he had reached the top before he died.